According to TV sources, the child was killed shortly after the video was uploaded. Tell us how are YOU doing? The following post was written by my colleague and friend Mohamad Elmasry, a Visiting Scholar at the University of Denver’s Center for Middle East Studies whose MA thesis examined American newspaper coverage of death in the Israel-Palestine conflict. In the aftermath of the tragic killings of three Israeli teenagers, Gaza has been bombed (yet again). More than 30 targets were hit last evening. Israel is good at collective punishment. We know this. The murder of the three Israeli teens is quite awful. What is also awful is that these three kids will get more news coverage than the hundreds of Palestinian kids killed by Israel in the last several years. Numerous academic research studies all say the same thing: western reportage favors and humanizes the Israeli perspective, while delegitimizing and condemning the Palestinian perspective. The research also shows that Israeli deaths are covered more prominently than Palestinian deaths. For western media, Israeli lives are worth more than Palestinian lives. It’s that simple, really. Palestinians do not have a military, and — after having been robbed of their land, slaughtered, and kicked out of their homes in 1948 — have been illegally occupied for nearly half a century. For many years, the US and Israel have been virtually the only countries in the world to vote against the UN resolution for “peaceful settlement of the question of Palestine,” which would require Israel to end its illegal occupation. The vote is usually something like 160 to 5 (with the Marshall Islands and Micronesia always voting with the US. and Israel, and the rest of the world voting in the other direction). In November 2012, the vote was 163 to 6. Israel and the US have also systematically obstructed peace negotiations, as has been meticulously documented by Norman Finkelstein and other leading scholars. The occupation is utterly brutal (one need only consult any of the countless independent eyewitness accounts, or, alternatively, the human rights reports). Palestinians can do nothing without the permission of the Israeli Defense Forces, are not allowed freedom of movement, do not have control over their own resources, and have to put up with the regular home demolitions that make room for illegal Israeli settlements. Over the years, many thousands of Palestinians have been killed — including more than 1,300 children between 2000 and 2011 alone — and many thousands more imprisoned while defending themselves against IDF atrocities. We Americans give Israel several billion dollars per year in aid. 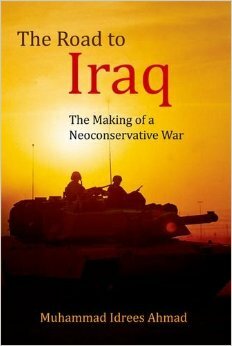 Most of us (Americans) do not know the first thing about the conflict and are too consumed with our busy lives (i.e. sporting events, television shows, movies, etc.) to give a damn what our government does with our tax dollars. To add insult to injury, our national media reportage of the conflict is dreadful, and, occasionally balanced reporting notwithstanding, overwhelmingly projects Palestinians as the aggressors and Israelis as the victims. Many studies have confirmed this basic finding. See the studies cited below, among numerous others. Ackerman, S., (2001). “Al-Aqsa Intifada and the U.S. Media.”Journal of Palestine Studies, v30 i2 p61. Dunsky, M., (2001). “Missing: The Bias Implicit in the Absent.” Arab Studies Quarterly, v23 i3 p1. Elmasry M. H., (2009) “Death in the Middle East: An Analysis of How the New York Times and Chicago Tribune framed killings in the second Palestinian Intifada.” Journal of Middle East Media 5(1). Friel, H. & Falk, R. (2007). Israel-Palestine On Record: How the New York Times Misreports Conflict in the Middle East. London-New York: Verso. Ross, S. D. (2003). “Framing of the Palestinian-Israeli conflict in thirteen months of New York Times editorials surrounding the attack of September 11, 2001.” Conflict & Communication online, vol. 2, No. 2. Viser, M. (2003). “Attempted Objectivity: An Analysis of the New York Times and Ha’aretz and Their Portrayals of the Palestinian-Israeli Conflict.” Harvard International Journal of Press/Politics, Vol. 8 Issue 4, p114. 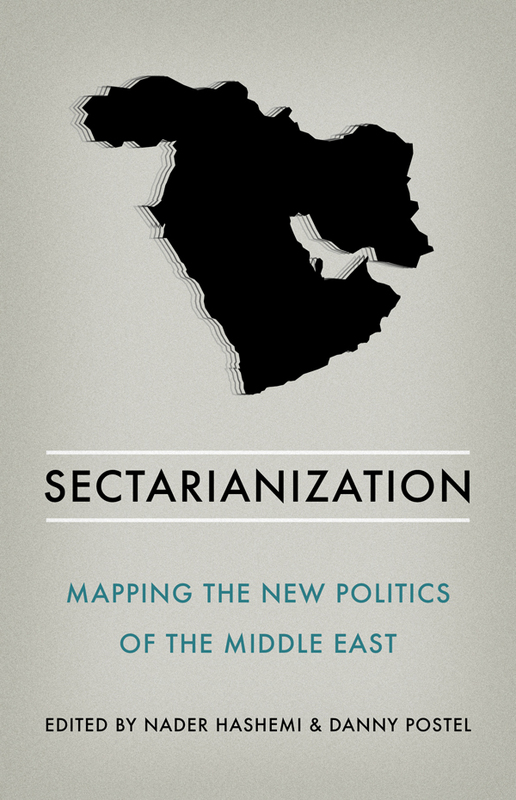 Mohamad Elmasry is a Visiting Scholar at the Center for Middle East Studies at the University of Denver and an incoming Assistant Professor in the Department of Communications at the University of North Alabama. Previously he was Assistant Professor and Graduate Director in the Department of Journalism and Mass Communication at The American University in Cairo (AUC). 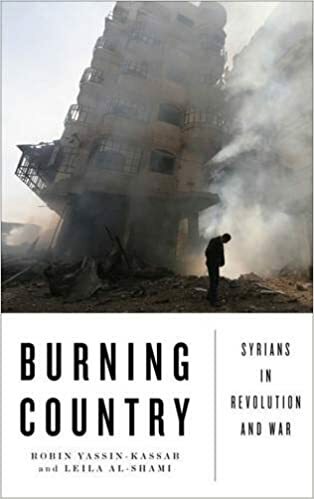 His work has appeared in the Journal of Middle East Media, the International Communication Gazette, the Journal of Arab and Muslim Media Research, International Journal of Communication, Global Media Journal, Political Violence @ a Glance, Al Jazeera English, openDemocracy, The Immanent Frame and Jadaliyya, among other publications. On Saturday 18 September, the fifth, and most ambitious convoy leaves for Gaza. From London, Casablanca and Doha three simultaneous routes consisting of hundreds of vehicles to break the siege. Three times in the last eighteen months Viva Palestina has broken Israel’s siege, each time successfully delivering their aid, despite Israel’s murderous assault on the Freedom Flotilla , they fully intend to deliver this time too. 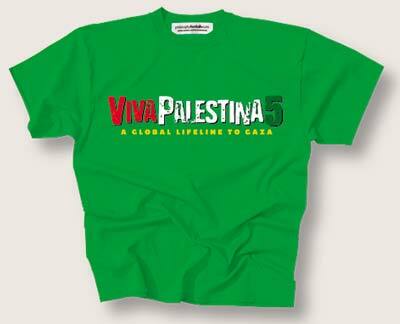 Our VIVA PALESTINA 5 T-shirt will be worn by all drivers and crew. Sales of the shirt help fund the convoy. We can’t all be on this incredible journey to bring vital material aid and international solidarity to Gaza but by wearing this shirt we are all convoy members. Courtesy of the team at Philosophy Football.